Welcome to 911 Pest Control! We proudly provide pest control, pest management, and extermination services for the Greater Vancouver Regional District. 911 Pest Control takes a unique approach to pest management and control concerns. When you call us you will not receive a quick, “one-size-fits-all” response. At 911 Pest Control we believe in spending all the necessary time and effort up front to ensure the best results for each individual situation. If you need help with pests, and specifically deal with Ants, Bed Bugs, Rats, Mice, Cockroaches, Spiders, Squirrels, Wasps and general insects, here you can find some tips and advice on how to solve your problems. Our company provide one-time, monthly and annual services, as well as long time pest exclusion and checking services, for home and offices. We appreciate the opportunity to serve you. 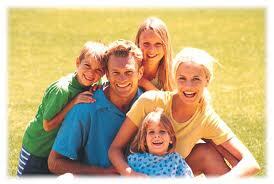 As our customer we want you to feel comfortable knowing that you are living in a pest free environment. We will save your home and office from all unwanted pests!